Is it a dessert or savory side dish? You be the judge for my cheap$kate video version of Corn Pudding. Maybe it's best to let your guests determine the verdict. And for these coming holidays I sentence you to make a luscious Corn Pudding! 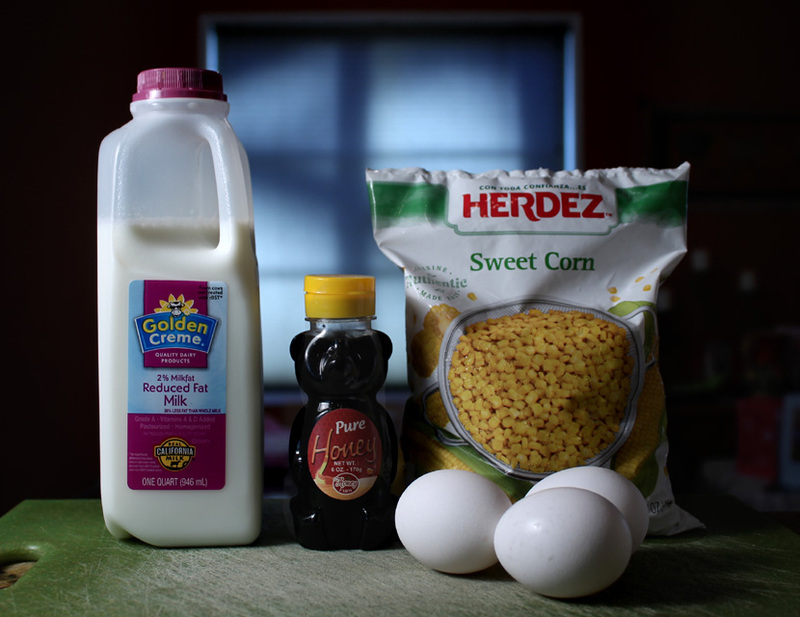 You only need four ingredients: corn, milk, eggs and a tablespoon of honey. The only big decision is about corn. Do you use fresh corn from the cob, a few cans of cooked corn, or fresh frozen bag of corn kernels? I went the easy route and used frozen, but you can use any type you prefer. It couldn't be easier to make. Add 3 whisked eggs to milk and stir in a one pound bag of corn kernels (3 cups,) and finally drizzle on a tablespoon of honey (or your favorite sweetener.) 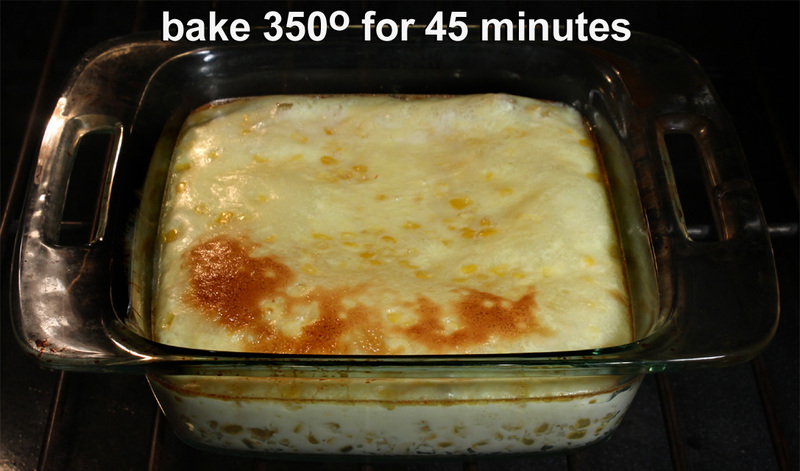 Bake the mixture for 45 minutes at 350 degrees -- that's it. Some recipes sprinkle on a little ground nutmeg for extra festive holiday flavor. The ingredients are cheap, just the way I like it, especially one pound bags of frozen corn and canned corn. 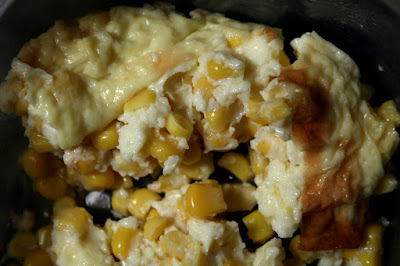 I think you will like the texture -- it's similar to flan, with the extra crunchy addition of sweet corn kernels. This side dish is perfect for travel and can be done at the last minute. I did it in under an hour, most of the time reserved for baking. You can make it ahead of time and serve it chilled or warm. My latest recipe video below features sweet and savory side dish recipe that's simply delicious to make. So for this Christmas holiday meal serve my cheap$kate side dish of Corn Pudding, it has all the right ingredients. Play it here. Video runs 1 minutes, 55 seconds. 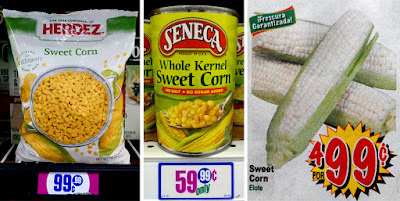 3 cups corn kernels - fresh, frozen or drained from can. I used a one pound package of frozen corn kernels, that I defrosted and drained. 3 medium eggs - add an extra egg if they are small. 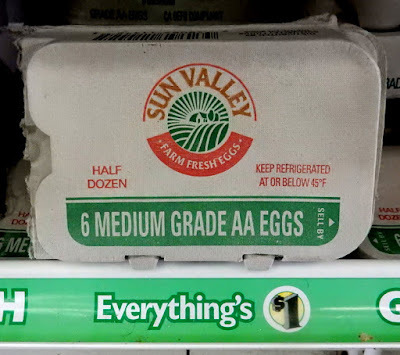 1 used medium eggs. 1 tablespoon honey - Okay to use any favorite sweetener. You can add less, or leave out sweetener, it will still be slightly sweet from the corn. Salt and pepper to taste - I left it out for this version. Prepare corn kernels, you want 3 cups total. If you use fresh corn removed from the cob, it may take about 4 to 6 ears to fill 3 cups. For canned corn use three 16 ounce cans and drain liquid. In a bowl or baking dish, whisk 3 eggs together. Don't overdo it, just blend enough to mix well. Pour milk into baking dish. 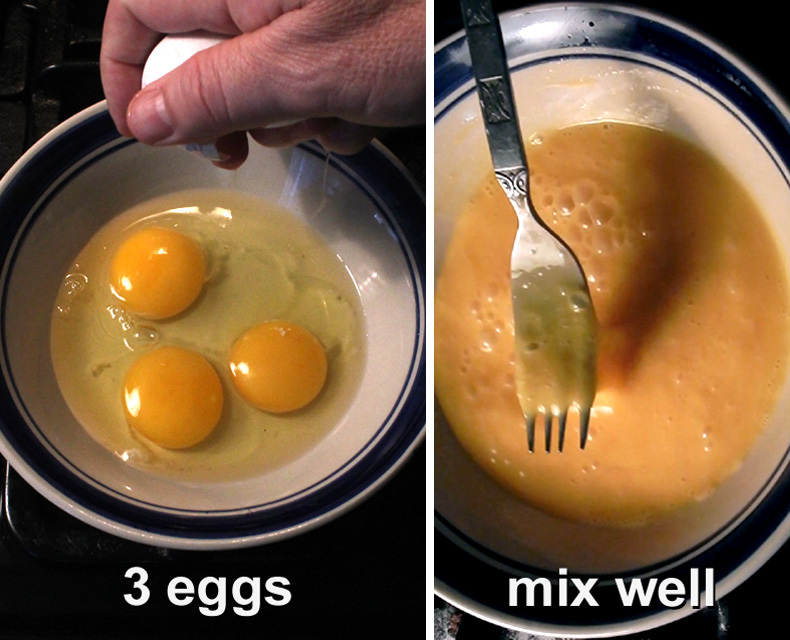 Add the blended eggs. Stir and mix. 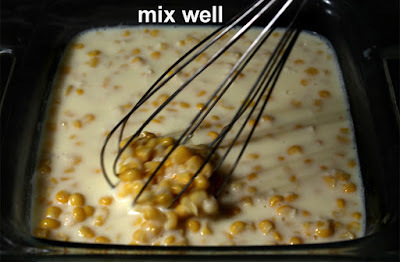 Finally add the corn and sweetener, again mix well.Okay to leave out any sweetener, corn has a bit of sweetness already. It's best to use a deep dish so you have a thick pudding. If you only have a shallow baking pan then reduce baking time by about 10 minutes, so pudding doesn't dry out too much. Some recipes add a cup (or two) of crumbled or shredded cheese and a sprinkle of nutmeg. And to keep the side dish more savory, you can leave out the sweetener. Make sure to drain canned corn. Also, to further reduce water accumulation, defrost frozen corn and drain it too. I found a little water on the bottom of the pudding after it cooled down. You can pour it out when baking dish is easier to handle. By the next day the Corn Pudding will start to break apart - the kernels will separate from the pudding in clumps. It will still taste fine. Also water will continue to come from the corn kernels, just drain the liquid off before serving.